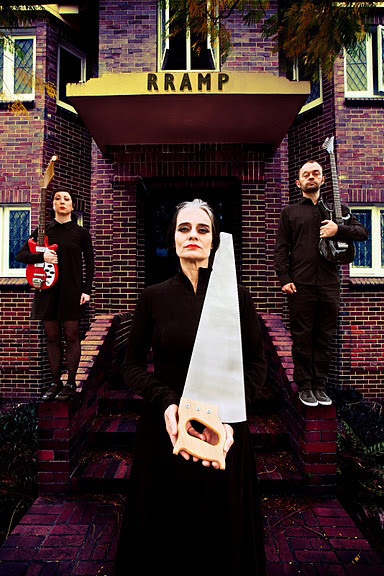 RRAMP is an eclectic mix of original music, dance, storytelling, humour and animation, featuring Christine Johnston as the Collector, a tall, lonesome lady-of-the-house; Lisa O’Neill as the dancing Archivist (her much shorter personal assistant); and Peter Nelson as the Electrocrat. Exquisitely animated by Ahmarnya Price, RRAMP is a hard-hitting electronica dance/metal/rock set, reflecting on unexpected and compelling stories of archives, collections, animal love, social commentary, childhood imaginings and human frailty. Presented by Carriageworks, Performance Space and Mobile States.